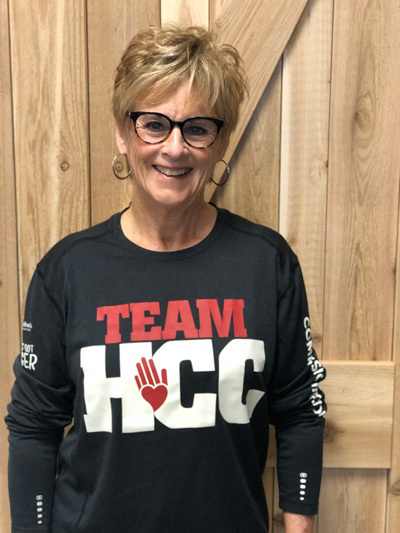 Every month HCC is honored to highlight one of our amazing volunteers, this month HCC Maryvale volunteer Jill Yancy is deserving of this honor! 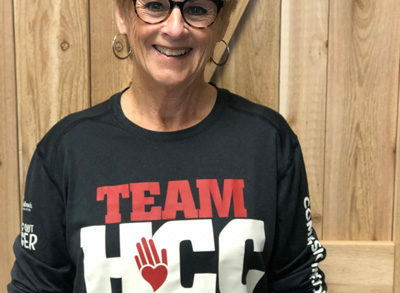 Jill, a retired Phoenix native and mom of 4 children and a grandma to 8, started volunteering at HCC Maryvale last June. Jill, a previous business owner, now retired, was looking to give back to her community with some of her new free time. All of us at HCC are grateful for Jill’s commitment to serve those in need at our Maryvale center. “Jill comes in every week, and she’s always smiling and willing to jump in wherever I ask!” said Paul Thompson, HCC Maryvale Director. Thank you, Jill, for serving others with your time and energy!